By W. Bruce Cameron. Forge. $24.99. How often have you heard and/or read unconditional love associated with the dog? Chances are on virtually every web site and in every feel-good book about man’s best friend. Meet the poster dog(s) for this characterization –Buddy, Molly, Max and Toby. This is your consummate four-in-one animal (for the purpose of this book) dedicated to protecting the welfare of young Clarity (who later assumes the name CJ) and being her best friend from troubled adolescence to her death bed. 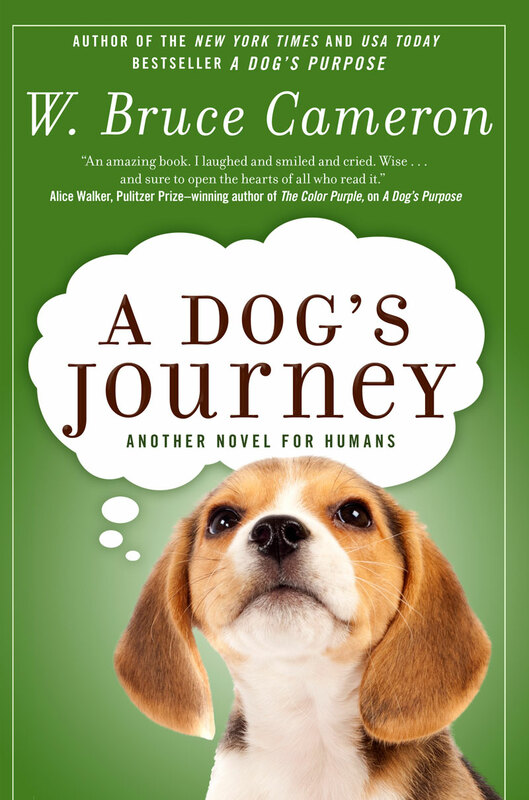 This earthy volume – a sequel to Cameron’s bestseller, “A Dog’s Purpose” – is written in dog speak, i.e. first person, err first dog, of all four, who blissfully pass on into another body without missing a beat after a fulfilling life. 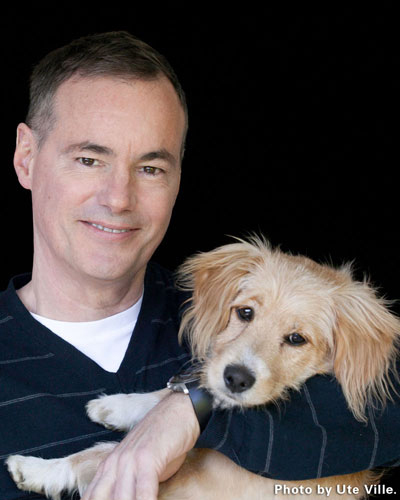 Author W. Bruce Cameron holds his rescue dog Tucker. In that context, Toby assumes the role of a therapy dog with a resilient can-do spirit in a hospice where his longtime nemesis Gloria (CJ’s mother) is dying and later where the love of his life CJ succumbs. While reflecting a celebration of life one minute and a combustible feel the next, the narrative is an emotional bumpy ride of challenging tight curves and sweeping wide swings, ranging from angst to anticipation. In the process, this “Journey” creates a landscape that’s a natural metaphor for the struggles between health and sickness. From Buddy to Toby, the baton pass is seamless in the fast-paced read of true grit and commitment. Cameron’s ability to deliver this intoxicating blend of tension and passion throughout produces a page-turner that’s difficult to put aside from the opening paragraph that establishes: “My name was Buddy, and I was a good dog” to the closing page where he is reunited in heaven with all of the people he loved.